For the fourth time, Interpoint is organising a SPLASH! Asia event in Singapore. 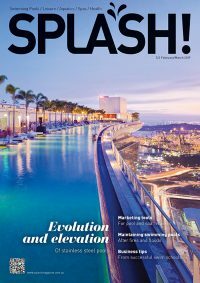 The fourth edition of SPLASH! Asia will be held as part of the Architecture & Building Services (ABS) Show on September 28 to 30, 2016 at Marina Bay Sands, Singapore. SPLASH! Asia was first held in 2011 and has seen the emergence of a genuine pool and spa industry in Asia. 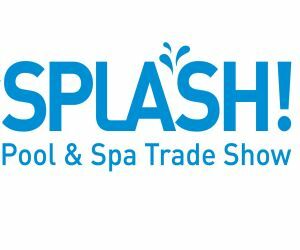 The industry has a different profile to other pool and spa trade shows in Australia and Europe. According to Simon Cooper, managing director of Interpoint Events and publisher of SPLASH! magazine, the Asian market is complex and weighted towards the commercial sector. “We launched the show in 2011 and with the support of sponsors Pentair and participation from leading players such as Fluidra, Hayward and Waterco, we positioned the event as a regional show for suppliers and distributors,” he says. ABS is a well-established event attracting more than 9000 visitors from 40 countries and comprising six events covering a 10,000sqm exhibition area. Two of these events – ArchXpo, the 3rd International Exhibition of Architecture and the Built Environment, and the International Facility Management Expo – attract delegates interested in building and maintaining pools in commercial properties. A SPLASH! Asia pavilion will be part of this event for the first time. SPLASH! 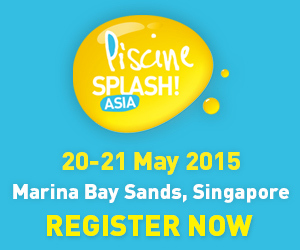 Asia will be organised by Interpoint Events – who have run the event since 2011 and will receive the support of SPLASH! magazine along with a number of industry associations. The ABS show differs from past events in that it is longer (three days) which will deliver greater value and contact time for international exhibitors, and the convention format delivers a high quality of delegate especially architects, developers and commercial facility managers. SPLASH! magazine through its print and online reach into Asia is uniquely positioned to promote the event.